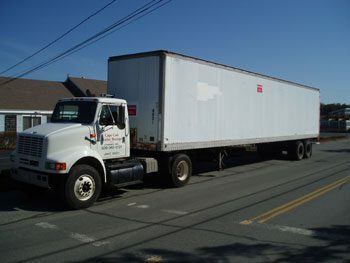 We offer various sizes of storage trailers from 27 feet to 48 feet long trailers. Our customers use our units for many temporary storage, warehousing and office applications including excess inventory storage, seasonal merchandise, record storage, warehouse and office expansion, and much more. Our customers make their rental decisions based on convenience (delivered to their site, access contents anytime, etc. ), easy dock height access, security of unit, size of unit, door configurations, price, customer service, condition of fleet and reputation. Specific sizes depend upon availability. For availability, please call (508) 362-2721, contact us or visit one of our locations.